Washington lawmakers are trying to open more recreational marijuana stores so medicinal cannabis consumers can shop there. OLYMPIA – Following an analysis of the entire marijuana marketplace in Washington State, the Washington State Liquor and Cannabis Board (WSLCB) today heard a recommendation from staff to increase the number of retail marijuana stores from the current cap of 334 to a new cap of 556. The methodology for the cap will be part of emergency rules which will be announced Jan. 6, 2016. The allocation of retail licenses determined by the board will be published on the WSLCB website atlcb.wa.gov. Earlier this year the legislature enacted, and Gov. Inslee signed, legislation (SSB 5052) entitled the Cannabis Patient Protection Act. The new law charges the WSLCB, the state Department of Health and other agencies with drafting regulations that integrate the medical marijuana marketplace into the tightly controlled recreational marketplace. The WSLCB is charged with licensing retail applicants using a priority-based system. – First priority applicants are those who applied for a marijuana retail license prior to July 1, 2014, operated (or were employed by) a collective garden prior to January 1, 2013, have maintained a state and local business license and have a history of paying state taxes and fees. – Second priority applicants are those who operated (or were employed by) a collective garden prior to January 1, 2013, have maintained a state and local business license, and have a history of paying state taxes and fees. – Third priority applicants are those who don’t meet the first or second criteria. The WSLCB began accepting license applications on Oct. 12, 2015. Thus far, the WSLCB has received 1,194 retail applications. Of those who have applied, 39 have been determined as priority one and 42 have been determined as priority two. Applicants must still meet all other WSLCB licensing criteria before being licensed. The number of retail locations will be determined using a method that distributes the number of locations proportionate to the most populous cities within each county and to accommodate the medical needs of qualifying patients and designated providers. Locations not assigned to a specific city will be at large. WSLCB will increase the number of available licenses in the ten counties with the highest medical sales by 100 percent. Exceptions include Yakima and Benton Counties which have bans and moratoria in all major population centers. The 100 percent increase will transfer to the next two highest for medical needs, Skagit and Cowlitz Counties. Those counties and jurisdictions not in the top ten for medical sales will receive an increase of the number of licensees by 75 percent. In addition to new retail licensees, 70 percent of existing retail recreational marijuana stores have received an endorsement on their license to sell medical marijuana. BOTEC Analysis Corporation provided its final report, Estimating the Size of the Medical Cannabis Market in Washington State, on Dec. 15, 2015. In its report, BOTEC provided a range of the value of the overall marijuana market in Washington State. Its best estimate of the overall market value is a median figure at $1.3 billion annually. Its best estimate on the breakdown is: $480M medical (37 percent of market), $460M state-licensed recreational stores (35 percent of market) and $390M illicit (28 percent of the market). My first comment of course is this is funny that they are trying to get folks who need marijuana for medical reasons to buy it from recreational marijuana stores. I understand the dried herbs should be the same either way, but we've had medical marijuana since 1998 that gave folks more freedom to take care of themselves. Now that Washington state has essentially made a lot of that "Self-Care" activity illegal, low income folks who are not allowed to grow like they used to (limits for patients dropped from 15 plants to 4 plants recently) low income patients simply won't be able to get the cannabis that they need. Also by making Farmers Markets illegal, they are causing low income patients to suffer. The affordability at cannabis farmers markets was often the only way low income patients could get some semblance of relief from their conditions. The goals of a medical marijuana store are very different from the goals of a recreational marijuana store. A Recreational marijuana store is trying to get paid to support your decision to engage in a vice. I know marijuana is safer than alcohol, but the investors seeking to start a recreational marijuana store are not worried about anything other than selling pot to people who are using pot for fun. There are a lot of people for whom their marijuana use is not fun. It is a life or non-life situation. The reason I use the term "non-life" instead of "death" is because medical marijuana patients who use cannabis find they have an increased functionality after consuming cannabis. Pain can be debilitating, if a person is in so much pain that moving is torture, it becomes difficult to participate in what many would call the fundamental activities of "Life". So if one needs cannabis, and one is unable to acquire cannabis, one will have a non-life. I don't know what kind of study Botec did to determine how many medical marijuana patients are in the state, but I wouldn't be surprised if there was an attempt to call many medical cannabis users "fakes". Notice how they talk about the amount of money associated with medical cannabis rather than the number of humans who live in Washington and need cannabis for medical reasons? 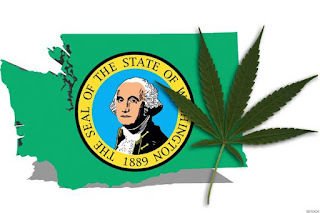 "BOTEC provided a range of the value of the overall marijuana market in Washington State. Its best estimate of the overall market value is a median figure at $1.3 billion annually." The letter that my friend John Novak received and published on his Facebook page mentions the number of retail marijuana stores in Washington will be expanded. (WSLCB) today heard a recommendation from staff to increase the number of retail marijuana stores from the current cap of 334 to a new cap of 556. Remember this is under new regulations, so even if some of these "retail stores" are for medical patients, the cannabis on the shelf will be from recreational growers. They say people can't be trusted to produce medical marijuana using the system that we've been using since 1998. Basically patients would grow and share with other patients. Many patients did a good job growing. They had small gardens, and they donated their excess to store fronts (sometimes cannabis farmers markets). This process allowed patients and their friends or family who would grow for them to cover expenses associated with electricity, light bulbs, ballasts, nutrients, pumps, timers, scissors, and a car with gas and insurance used to deliver the excess cannabis from the garden to the store front. This system has worked well for a long time. It has allowed many low income patients to find cannabis that worked at an affordable price. I can only assume lawmakers are punishing the good folks because they've witnessed a couple of bad players. I understand the temptation to create laws that basically focus on pre-crime. Legislators are afraid people are "faking it" to get a medical marijuana authorization and permission to grow 15 plants so they can grow and sell to non-patients. Rather than putting policies in place in an attempt to catch criminals in advance, wait until people actually commit a crime, catch them, then take them to court. Representatives in Washington are taking away our marijuana rights, because people voted to legalize marijuana. Insane, and sad. Lawmakers shouldn't assume voters are so dumb that they would try to push this past. Voters should stop being complacent and actually tell lawmakers that taking away marijuana rights in a post legalization state is absurd, uncalled for, wasteful, and clearly motivated by greed.